Previously reserved only for rich winter soups like French onion, these cheesy obey gooey bites of deliciousness belong on everything! I mean think about it. 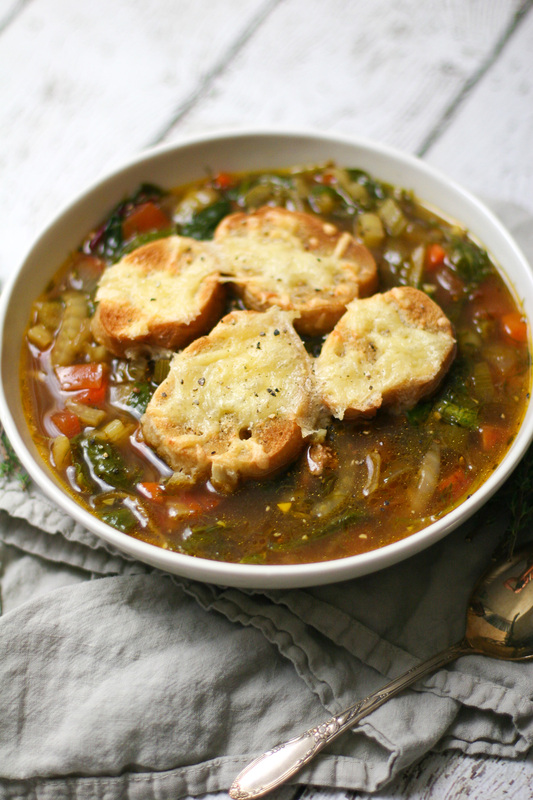 Most people usually serve soup with a giant hunk of bread and a generous sprinkling of cheese anyways. 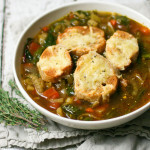 Why not top the soup with croutons, and get a nice piece of cheesy bread in every bite? They are super easy to make. Just slice up your baguette (or buy a pre-sliced baguette from the grocery store), top with grated cheese (I think gouda and gruyere are the best), and bake for 15 minutes in the oven. The cheese gets melty and bubbly, and the baguette pieces get nice and golden and crispy. When you float them on the soup, they quickly absorb the broth, soften, and become easy to break up with a spoon. 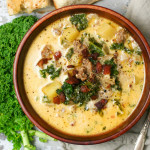 Then you can easily stir them into the soup to thicken it and add extra texture and flavor to each bite. 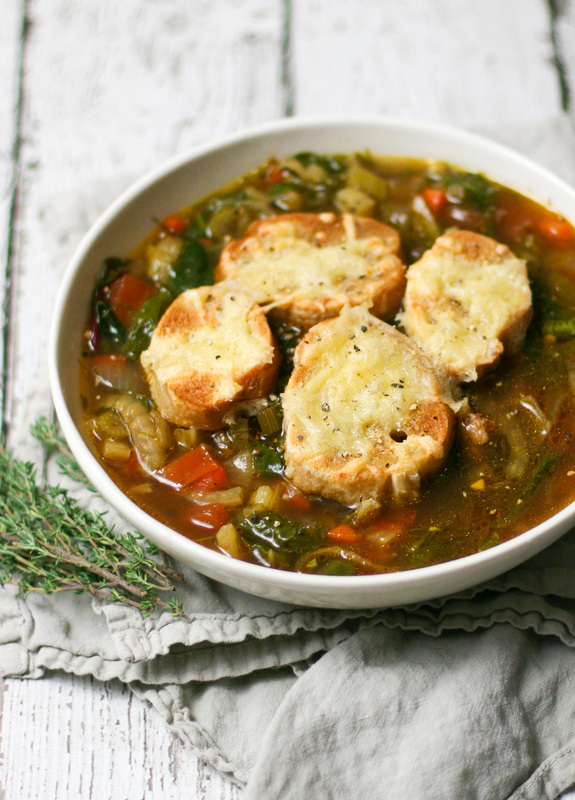 This sausage & fennel soup pairs perfectly with soup croutons. 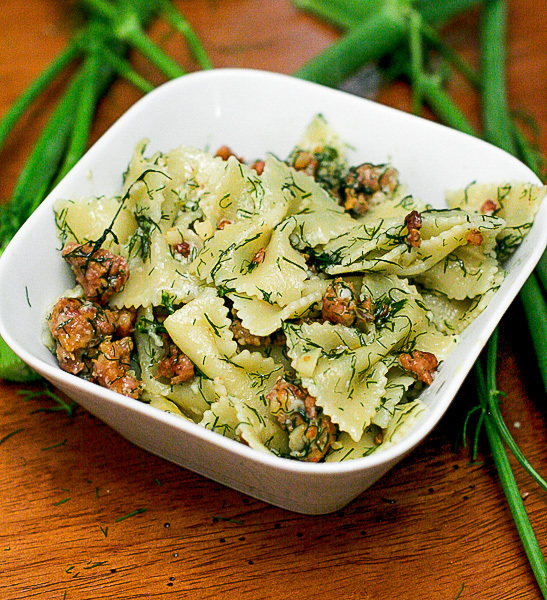 It has chunks of spicy Italian sausage and a whole lot of fennel. Like, every part of the fennel plant (yay, no waste!). The bulb is chopped and used just like onion, the stalks are sliced and used like celery, and the fronds are chopped and swirled into the soup at the end of the cooking time and function like fresh herbs. 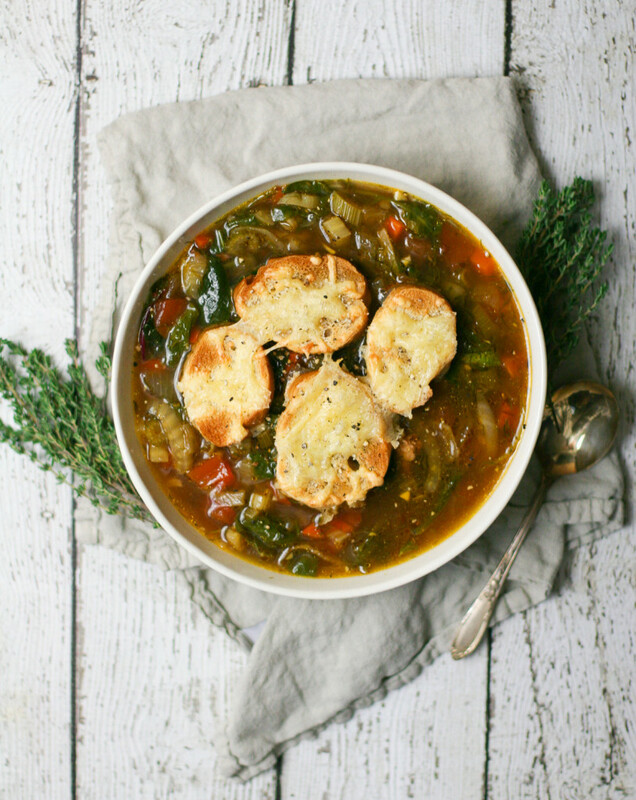 Of course, there’s also classic carrot, tomato, garlic, and a whole bunch of greens in the soup. It’s super nutritious, full of fiber and phytonutrients, plus some protein from the sausage. It makes you feel warm and satisfied without being too heavy. And it keeps really well in the fridge all week. Enjoy! Add 2 tablespoons of olive oil to a large enameled dutch oven or other large heavy bottomed pot. Add the Italian sausage and cook over medium-high heat, using a spatula to break up the sausage as it cooks. Cook for about 8 minutes, or until the sausage is nicely browned. Use a spatula to remove the sausage to a paper towel lined plate and set aside. Add the diced onion and diced fennel bulbs to the pot and cook for another 5 minutes until softened. Add the carrot and fennel stalks and cook an additional 5 minutes until they are also softened. Add the minced garlic, reserved sausage, and thyme. Stir, and cook for just about a minute, until the garlic is fragrant. Pour in the sauvignon blanc and cook for a minute until slightly evaporated. Pour in the chicken stock & bring to a boil. Reduce the heat to a simmer, partially cover the pot, and cook for 30 minutes. Remove the lid from the pot and stir in the baby greens, tomato, and fennel fronds. Simmer for an additional 5 minutes until the greens are wilted, then turn off the heat. Meanwhile, preheat the oven to 350 degrees. Line a large rimmed baking sheet with parchment paper and spread the baguette slices out on the parchment paper. Top each slice with a bit of shredded gouda, evenly dividing it among all the slices. Bake in the oven for about 15 minutes, or until the bread is golden and the cheese is melted. You can also quickly broil the cheesy bread pieces for a minute or two for a quicker result. 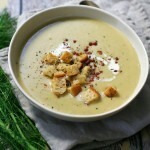 When ready to serve, ladle the soup into bowls and top with cheesy croutons. Enjoy!